Regional rail operator, Rift Valley Railways has today commissioned two high capacity railway track maintenance machines that will automate and hasten track restoration. RVR Group CEO, Darlan De David explained that automating the track maintenance process will significantly improve track stability, helping achieve efficiency and much improved cycle times. 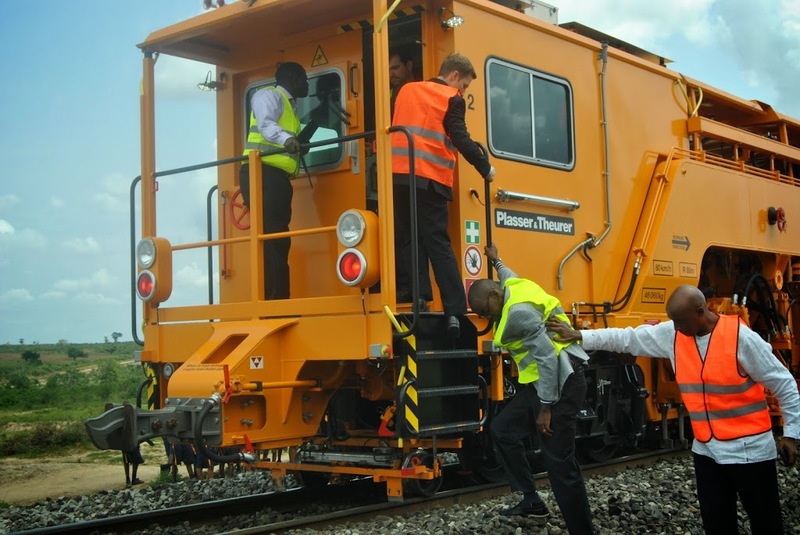 The Ballast Tamper and Ballast Profiler machines work in tandem to arrange displaced ballast restore the track to the technically required geometric alignment at a speed of one kilometer per hour compared to only 40 meters per hour using manual processes. Railway tracks require regular maintenance as frequent movement of heavy trains usually unsettles the ballast and configuration of the line. The computers aboard this mechanised equipment automatically corrects track alignment to a very high degree of precision based on data fed into monitors during track reconnaissance trips, said Eng. Joshua Pembere, RVR mechanical engineer and project manager. The high end equipment is manufactured by Austrian firm Plasser & Theurer, the pioneer and global leader in mechanized railway track maintenance technology. The commissioning comes days after Rift Valley Railways received an injection of sh6 billion, the final tranche of a sh14.4 billion debt financing package from international and regional lenders. The loan facility is part of a sh25 billion capital expenditure plan to turnaround the rail operator that began in January 2012.